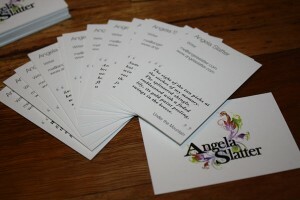 My Significant Other, not content with re-designing this site, then designed some business cards for me. He is, in short, awesome-di-awesome. 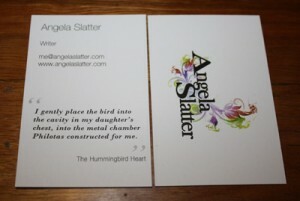 There are eight different ones, each with a line from some of my stories. 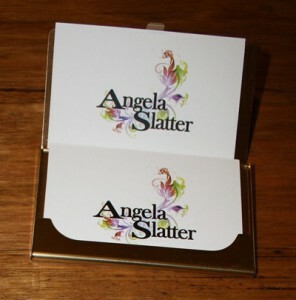 This entry was posted in News, Random and tagged angela slatter, business cards. Bookmark the permalink. Oh! Those are very cool indeed! Your S.O is a worthy piece of work – not that such was ever in doubt!